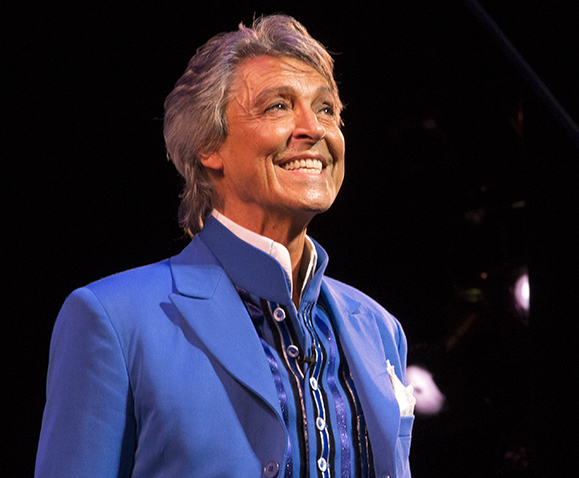 Tommy Tune will receive the 2015 Special Tony Award for Lifetime Achievement in the Theatre. The accolade will be presented at the 2015 Tony Awards ceremony. The Tony Awards Administration Committee has announced that nine-time Tony Award winner and Broadway icon Tommy Tune will be this year’s recipient for the Special Tony Award for Lifetime Achievement in the Theatre. The award will be presented at the 2015 Tony Awards at Radio City Music Hall on June 7. In addition to his nine Tonys for shows like The Will Rogers Follies and Nine, Tommy Tune has received the National Medal of Arts, eight Drama Desk Awards, and three Astaire Awards. The performer, director, and choreographer has been honored with his own star on the legendary Hollywood Walk of Fame and was inducted into the Theater Hall of Fame by Gwen Verdon. He was most recently seen on the New York stage earlier this year in the Encores! production of Lady, Be Good! at New York City Center. He is currently touring the country in his one-man show, Taps, Tunes and Tall Tales.